UNITED NATIONS, Jul 5 2013 (IPS) - As the new 12,600-strong United Nations peacekeeping forces don their blue helmets and prepare to take over from African-led forces in Mali, a nation consumed by corruption and extremism, concerns remain whether U.N. troops will successfully execute this transfer of authority. The African-led International Support Mission to Mali (AFISMA) contributed its 6,237 troops to the U.N. peacekeepers under the U.N. Multidimensional Integrated Stabilised Mission in Mali (MINUSMA) on Monday. “Mali has experienced what can only be described as a phenomenal collapse in the last 18 months,” Corinne Dufka, a senior researcher with Human Rights Watch, told IPS. "Mali has experienced...a phenomenal collapse in the last 18 months." After being identified as a relative success story among developing nations, with a few largely democratic elections under its belt, in early 2012 Mali was confronted by a Tuareg movement, along with Islamic armed groups, that led to the displacement of hundreds of thousands of people. “The current situation in Mali is a result of many human rights violations, so there are certainly concerns that the U.N. troops deployed are setting the right example and that they are beyond any reproach themselves,” Philippe Bolopion, United Nations director of Human Rights Watch, told IPS. Several human rights organisations have spoken out against the inclusion of Chad, a country censured for its persistent use of child soldiers, among MINUSMA’s troop-contributing nations. Chad was placed on U.N. Secretary-General Ban Ki-moon’s list of shame for countries that recruit children in armed groups. Chad’s participation in the U.N. peacekeeping mission could be seen as a potential credibility issue, Watchlist Research and Reports officer Layal Sarrouh told IPS. 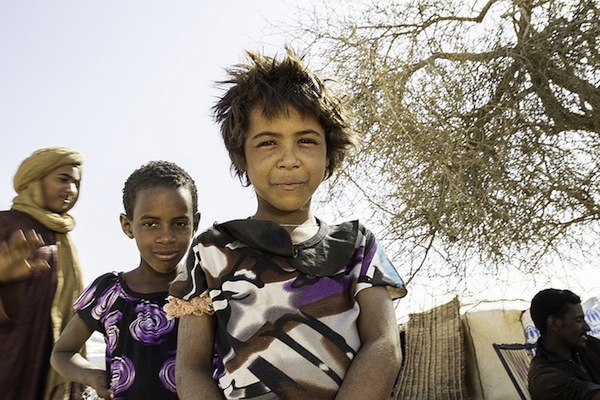 “We (Watchlist) think from a global standpoint that listed parties who are on the secretary-general’s annexes for committing grave violations against children, should not be included in peacekeeping missions,” Sarrouh said. Watchlist monitors and reports on the situation of children affected by armed conflicts in specific countries around the world. Bolopion told IPS that Chad must deliver on its promise to take all necessary steps to end child recruitment. Otherwise, the country should be expelled from the U.N. mission, he said. Currently, the U.N. does not have a policy to stop Chad from joining MINUSMA, but it does have a screening policy to check for child soldiers before deploying peacekeeping troops. “We can only hope that the U.N. will deploy every effort to screen its own troops,” Bolopion said. Other concerns remain that are unique to MINUSMA. Unlike other missions, which typically carry out pre-deployment training for troops in their respective countries before collectively entering the country in conflict, MINUSMA is a consolidation of troops old and new to Mali. Some peacekeepers are setting foot in Mali for the first time, while others have been active for half a year under AFISMA, with varying levels of training under their belts. U.N. Security Council Resolution 2085, which authorised AFISMA in December 2012, had strong human rights safeguards and good language on pre-deployment training, according to Sarrouh. However, many of those safeguards were not in place when AFISMA was deployed to combat insurgents only a month after the Security Council’s approval. Watchlist’s new report detailing violations against children by armed groups in Mali points out that over the past year, AFISMA had no standard operating protocols in place for the transfer of child soldiers to Malian authorities. “The troops have a very large role to play in child protection, and they require training to understand how they should approach that role,” Sarrouh said. Sarrouh also stated that there have been increased reports of prostitution and sexual exploitation in Mali by AFISMA troops over the past year. These gaps in training and human rights protocols that were identified with AFISMA will be carried over by MINUSMA unless the new peacekeepers receive sufficient training to uphold standards appropriate to the U.N. mission.